Brown bears living in Poland represent a small part of the Carpathian population, which currently extends over the Czech Republic, Slovakia, Poland, Ukraine, Romania and Serbia. It is estimated to be about 7200 of individuals all over the Carpathian Mountain range. Although bears can be found along the Carpathian range, the distribution of breeding females is discontinuous. The population divides into three segments. The western segment covers most of Slovakia, and the Tatra Mountains and Beskid Żywiecki in Poland. The largest part of the Carpathian population inhabits the main Carpathian chain and extends from the Bieszczady region (encompassing Bieszczady Mountains and surrounding areas) and Slovakian "Poloniny" through Ukraine and Romania to Serbia. The third segment occupies the Apuseni Mountains in western Romania. The whole Carpathian population has been classified as “vulnerable” (at risk of being endangered); in some regions bears are locally endangered. The whole brown bear population in Poland is transboundary, thus bears are under various protection measures, depending on which side of the border they stay, and ranging from complete protection in Poland to protected, but game species in Slovakia or game species in Ukraine. Brown bears, which once were found nearly across all Europe, disappeared from most regions of the continent by end of the 17th century. Already in the beginning of the XIX century, the western and eastern subpopulations of the northern Carpathians become isolated, which is reflected in their current genetic differentiation. In Poland, after the World War II, bears persisted only in the Tatra and Bieszczady Mountains; their total numbers at that time were estimated in 10-14 individuals. Since then, the population started to recover slowly. According to the last report on the conservation status of the brown bear in Poland for the European Commission, the number of bears in the Polish Carpathians was estimated to be 95 individuals in 2007. The most important population was noted in the Bieszczady region (66 individuals) and the second in the Tatra Mountains (12-15 individuals). In other bear refuges their number oscillates from 2 to 5 individuals. This estimation of bear numbers was based on annual questionnaire surveys sent to the Forest Administration and National Parks in areas of bear presence in 2011. As the whole Polish population is transboundary and brown bears moved across the border, it is difficult to estimate the numbers of “Polish” bears, without a joint study with Slovakia and Ukraine. Further validations and analysis still going on, some jointly with Slovakia, will contribute to be more precise in the estimates. According to the last report for the European Commission on the conservation status of the population, during the last years bear distribution and main refuges have not changed significantly. The report estimates that the current bear range in Poland covers 5400 km2, whereas the “favorable reference range” is 9800 km2. The current distribution of brown bears in Poland is clearly discontinuous, with two main reproductive areas in Tatra (western segment) and Bieszczady region (eastern segment). 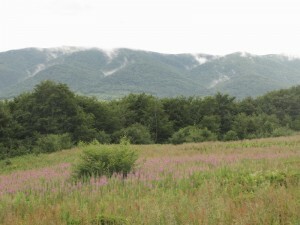 The third area of permanent bear presence and occasional reproduction is Beskid Żywiecki. In other parts of the Polish Carpathians, especially in the region between Tatra and Bieszczady, bears are observed rather occasionally and, in some regions, they have not been observed at all in 2009-2011. Bears in Tatra and Beskid Żywiecki are parts of the western segment of the Carpathian population, while these from the Bieszczady region belongs to the eastern segment. The connectivity between the western and eastern segments seems to be very limited, not only in Poland, but also in Slovakia. 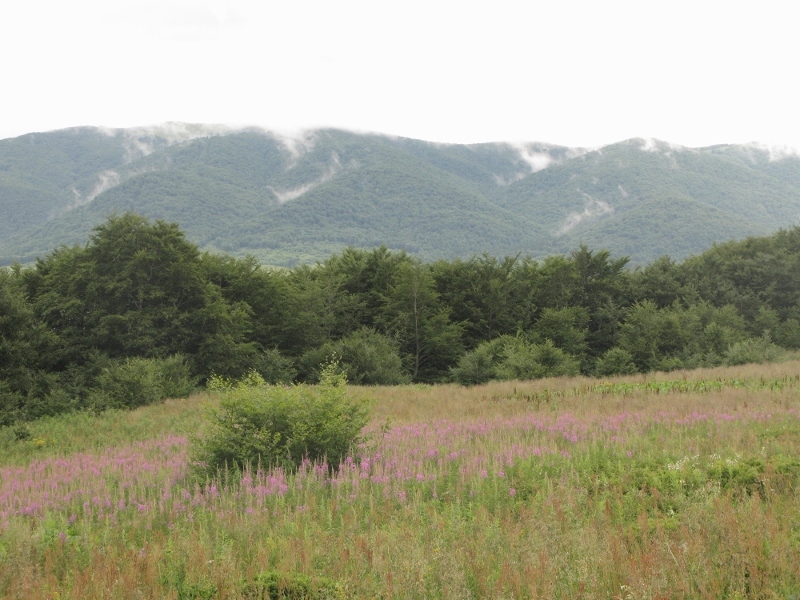 Although the habitat in the linkage zone between Tatra and Bieszczady seems to be suitable, bears are not settling there. This issue deserves further investigation. Dispersing individuals can be sometimes observed far from the areas of permanent presence. As example, the recent cases of subadult bears crashed by car or observed dozens of kms south of Krakow. Very occasionally bears have been observed in north-eastern Poland. Figure 1. Observations of the brown bears in Polish part of the Carpathians in 2009-2011 within the national parks and forest districts borders (after "Program ochrony niedźwiedzia brunatnego Ursus arctos w Polsce - Plan ochrony warunkujący utrzymanie naturalnej populacji niedźwiedzia i jego siedlisk" Nuria Selva, Tomasz Zwijacz-Kozica, Agnieszka Sergiel, Agnieszka Olszańska, Filip Zięba, SGGW Warszawa, 2011, 1-92).